When it comes to notarized translation services, you need to understand the importance of getting none but the best providers of such services. With our online notary public service, you have the chance of getting help from a translation company which has deep experience in the industry and has the resources to provide you with quick, yet high quality translation services along with notarization where needed at the lowest rates. 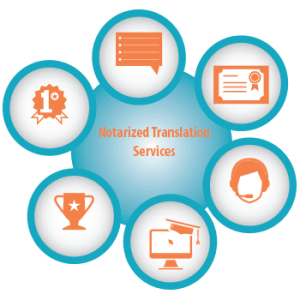 How does notarized translation services work? You have to scan the document that you want to have certified and notarized. You can do that by scanning it on your pc if you have a printer with a scanner or you can take a picture of your document and send that to us. 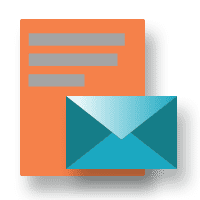 If it’s convenient for you, you can send us an email with your document to be translated. If you’re on a mobile device, and you don’t have your scanned document on your device then this is the best way to use. 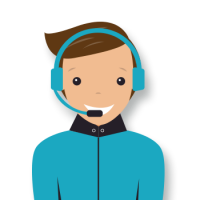 You can use our live-chat system to chat with us in real time, but also to send us the document by simply dragging the document over the live-chat window or by tapping the upload button. 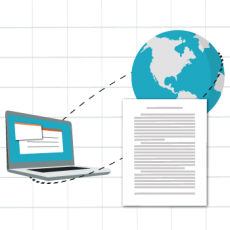 After we receive the document we give you a quote which is of course simply calculated by multiplying the number of pages by USD $20 if you need certified translation (Please note: the price is valid for pages having up to 200 words. If there are more than 200 words on the page, a price of $0.12 per word will be charged instead). In case you want to have your document notarized you have to pay USD $20 extra per document for the notarization. 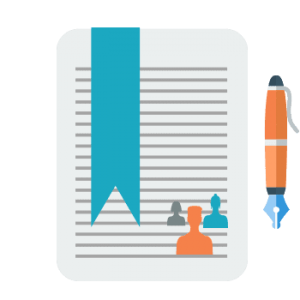 When you agree to the quote we will create a project in our system and proceed to contact two linguists: the first to translate your document and the second translator to check the files. We always use two linguists with every project. Note that you have to inform us about specific names as in some languages names can be spelled differently. It is important that you inform us before we start the translation. 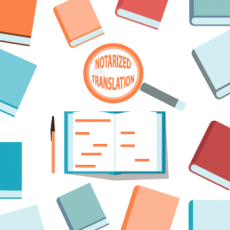 Have a look at all our translation process steps here. We find it important to inform the client about their translation. You will receive different emails from us to keep you updated as to the progress of the translation in real time. As soon as all the files are ready you get a copy by email and make sure that you will receive the translation from us by email or if you wish by post. Normally by email is sufficient. A confirmation email is sent to the client, asking him/her to check the translation and ensure that the names and dates are correct. When we get the confirmation, we process with the notarization and shipping. The notary takes care of the notarization after the document has been translated and approved by you. We always send the text for approval to you before Universal Translation Services will deliver the certified translation. The Notary receives the certified translation and notarizes the translated documents. Although USCIS no longer requires notarized translations, in some cases they may require a certified translation to be notarized. Some universities still require some translated documents to be notarized. If you’re looking to get a job in the US, some companies may require notary translation for your personal documents. Always get in touch with the institution where you need to submit your documents to and ask what they need, certified or notarized translation. We can do both, at some of the best prices on the market! In the event that you are looking for help with a translation for immigration in the United States, there are many alternatives that you can look into. There are actually a lot of translation service providers that you can come across in the industry at the moment, but it is hard to choose the best one, the one that can deliver what you want just the way you want it, and at an affordable price. In most cases, notarized translation services are requested by people who are in the legal profession, but this is not always the case. Anyone can require notary translation services from time to time, and for different reasons. When you come to us, we make sure that you get your work done to the best level that you have ever come across in the market so far. One of the key areas where we excel when it comes to notary translation is to make sure that your work is done as fast as possible. Speed and precision are some of the reasons why we have been able to excel in notary translation over the years, and this makes our work more realistic to all those who have been looking for such services. 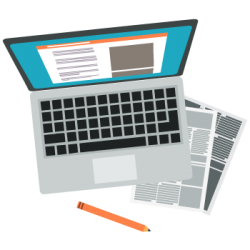 We do understand the need for you to make sure that your work is presented not only in a manner that you can access and feel proud of, but also one that will be acceptable as a normal format in official documentation. Sometimes the context of information is lost through translation if you use cheap services. The guarantee that we are giving you is that this will never be the case when working with us. 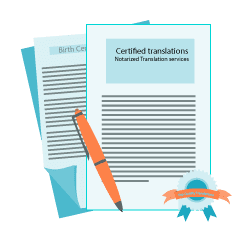 We have experts who have been working on notarized and certified translations for so many years, making it easier for us to deliver the best results. We provide notary translation services for any personal documents you may need translated for immigration in the USA. We can also provide translation and notarization of documents in the legal or business field, such as company documents including legal contracts. We are working around the clock and we have professional linguists available for just about any language. Contact us now for a free quote! Notary translation could be an essential need of your admission in the USA. If you are planning to immigrate in the United States and the USCIS office requested your translations to be notarized, then you need to use notarized translation services in order to have your documents accepted. Beside the immigration process, the notarization of certain documents will be required for various needs like commercial property, civil cases and university admission. In order to get what you need, you can take it the hard way or the easy way. The hard way is to search for a translator to translate and certify your document, then you need to take that certification in front of a notary to have it notarized. This means you’ll have to spend some time and money in order to have it done. The easy way is to use our notarized translation services. You simply ask us for a quote and send us the document. We send you the quote and if you accept it and pay the invoice, we’ll take care of the rest. We’ll translate and certify your document, then we will have it notarized and sent to you by mail. You also have the option to visit our office in Miami or Aventura in order to pick up your translation. Using our services you no longer have to deal with spending extra time and money, you don’t even need to get out of your house to have it done. Simply order it online and have it sent to you by mail. When are notarized translation services needed? The translations that are used for official purposes, often require notarized translation. 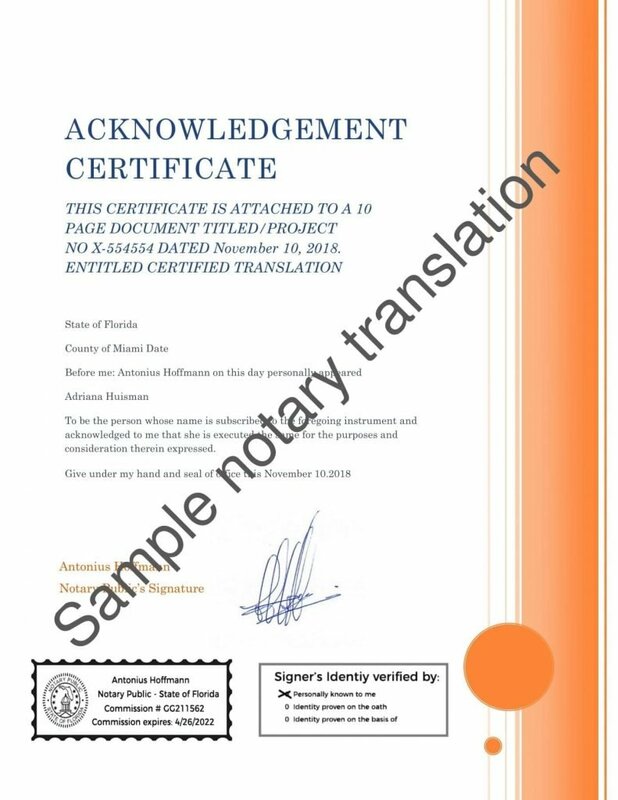 In the event that ordered, a notary public or registrar will stamp and sign the Certificate of Accuracy we give with every single certified translation. This validates the signer of the translation and this authentication is valid in each of the 50 US states. Clients themselves need to check with the authorities to whom they are presenting the certified translations, whether notarization authorization is essential or not. Universal Translation Services can’t say if a specific translation or authority requires notarization. Numerous institutions, for example, universities and schools ask for notarization. In addition, government offices, law offices, courts and other official workplaces may require notarization. So, it is best to check with the concerned institution before submitting a request to us. 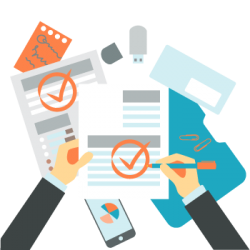 On the off chance that a client demands notarization when he/she puts in a request with us, at that point they would be required to send us their documents. We utilize regular mail for delivery needs, but we can use any other way as requested by the client. 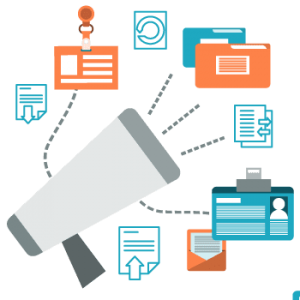 Why hire Universal Translation Services? With 26,000+ customers and a huge number of words translated, UTS is a standout among the most trusted sources for online notarized translation services in the United States. Our staff of expert translators has the experience to finish your project on time with a high level of precision. Our support team is always available to help you along the way. We are devoted to providing you excellent value for your money. We provide translations for any need, for both individuals and businesses. In any case, our services don’t stop here, as we endeavor to address the issues of all customers. It is for this reason that we added shipping and notary translation services for an ostensible charge. The notarization charge is not per page, but per document. Since we are enthused about giving quality support for the lowest rates, notarization charges are applied to the total of the order. It is the certificate of accuracy which needs to be notarized, not the translation itself. A notarized translation is a legal process to seal the authenticity of a certified translated document. It prevents any form of fraud or falsification of documents as it is legally binding contracts that is stamped by a notary public in order to secure its authenticity and discourage any forgery. Hence, the process is frequently referred to as an official fraud-deterrent procedure. The entire notarization process involves 3 steps, examining, certifying, and record keeping. These 3 critical steps are being handled by a certified Notary Public. Hence, notarization procedure is most often called a notarial act. A notary public can’t authenticate a translation because he doesn’t know the language and therefore cannot attest the accuracy. When a translation needs to be notarized, the notary public will authenticate the certificate of accuracy and the signature of the translator or translation agency. Therefore, a translation needs to be first certified, and then the notary public will notarize the certification which attests the accuracy of the translation. How does a notarized translation look like? As noted above, a notarized translation is a certified translation where the certificate of accuracy has been sealed by a notary public. There are many formats accepted for the certificate of accuracy, so you are able to find quite a few samples on the internet. If you were wondering how our notarized translation looks like, click the image below. What is the difference between certified and notarized translation? Most people don’t realize that certified translation and notarized translation are two different things. They are not the same. Certified translation services are in which a statement is issued by the translator or by the translator service that the translation is correct and authentic and that the translator is proficient in the target language as well as the source itself. 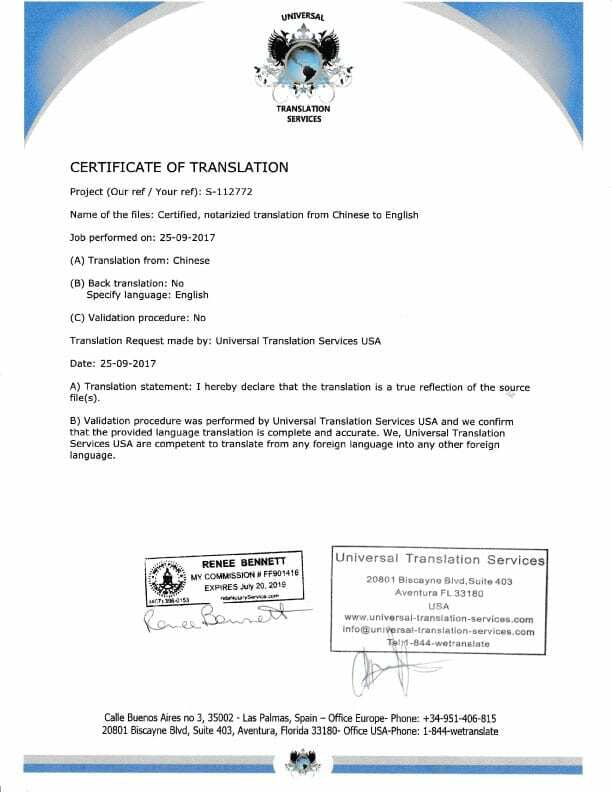 With a certified translation, the translation agency is providing a certification, stamped and signed by the translation company. In most cases this is requested. However, in some cases you need to have the documents certified and notarized. Notarized translation is when our in-house, live notary public certifies the identity of the person signing the certified translation. It is imperative to comprehend that the notary or registrar does not check or confirm the translation itself. If notary translation is needed, the certified documents will be presented at the notary who will notarize them and put his stamp on the presented documents. At the end you will have a certified and notarized translation, also called official translation. Notarization is sometimes required for translations that are used for official purposes. If required, our notary public will stamp and sign the Certificate of Accuracy we offer with all certified translations. This verifies the signer of the translation, and the notarization is valid across the United States. 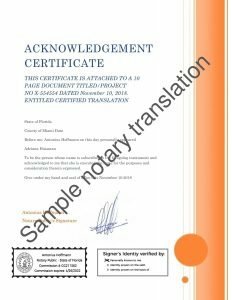 We provide online notary services for translations done by us with the help of our professional translators who gives extra authenticity to a translation by adding his/her signature on the certificate of accuracy. Notarization is needed when documents are intended for use by public authorities and specialists such as employers or bar organizations and other formal applications like immigration requests. As stated above, notarized translation is needed for commercial transactions, legal formalities including immigrants and court actions. 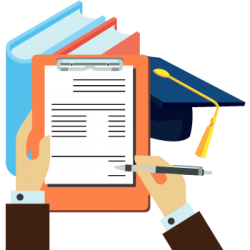 Regulatory works such as foreign student registration may also require notarization, but this differs from one college or university to another. Notarization in the US works as an additional layer of legality to the certified document which may be self-supporting in some situations while others ask for a notary. Such notary translations need the result of a professional translator and a notary public. After the translation we put our signature and stamp on both original documents and the actual translation and we issue the certificate of accuracy. We then present the documents to the notary public which certifies the legitimacy of the person signing the certificate. Translations that have been notarized give an extra layer of security which is sometimes needed with USCIS and most of the times in other ventures like university admission. 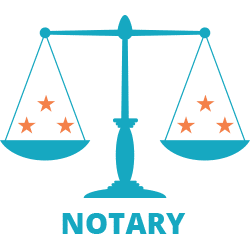 A Notary Public is selected by the state government or by the secretary of state to help the society as an unbiased witness in working with different official facts related to the signing of significant documents. These official actions are called notarizations. Notaries are candidly elected as ministerial leaders, meaning that they are required to follow laws without using significant personal preference, as would otherwise be the situation with a judicial official. A Notary has to screen the signers of essential documents such as property deeds, wills, and powers of attorney for their real identity, their willingness to sign without pressure or compulsion, and their knowledge of the contents of the document being signed. Some notarizations also ask the Notary to put the signer under the word, stating under the fine of a lie that the information included in a document is right and true. Neutrality is the base of the Notary’s public trust. They are duty-bound not to act in states where they have a personal concern. The public trusts that the Notary’s screening duties have not been corrupted by self-interest and documents attested by a notary are considered valid anywhere in the US. Besides notarizing our translations, the online notary does much more than that, the notary can help you with any other notarial activity you may need. If you need a notary public which is always available, get in touch. You don’t have to visit our office and the law in Florida allows for online authentication. All you need to do is get yourself in front of a camera and present your documents to our notary so the office can help you with any notarial acts you may need. We offer notarized translation services at some of the lowest rates in the market. Because our document translation rates are the absolute lowest you will find with any company; our notarized translations are also offered at the same low-cost rates and we are available around the clock to help you when you need it! Certified translations are needed for many purposes. Immigration, legal and medical businesses cannot risk their authenticity at any cost. This is why they should be handled by professional translators. Some institutions would even exclusively ask for a seal of authenticity by notary public. Some of the common misconceptions among people is that notary and translation services are somehow linked together where in fact they are not. Translation and notary are only related when there is a requirement for notarized Translation services. Otherwise, you don’t need a notary public or any other notary official for translating your documents. What you really need is a Translation company that delivers comprehensive Translation services, provide quality assurance and affordable rates. 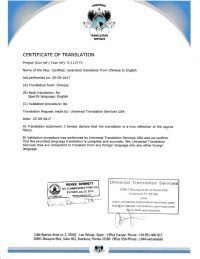 Universal Translation Services is a company that has based its reputation on its quality Services and expert translators. And if you need any Certified Translations or notarized translations, you can get them at the cheapest price possible.